Real Advice from the vendors you hire! How to set your Wedding Day Budget! Today, we focus our post on Bridal Budgets; as this is the first of your major steps that will determine the general planning of your entire wedding event! After many years now of working within the Bridal Industry, I seem to hear the same “problems” over and over – spoken by many future Brides-to-be, the forums are flooded with posts about it, followed by “It’s not within my budget”….. to which leads me to present the very first question that needs to be asked before anything else. How do you plan a Budget for your wedding day if you have no idea what your vendors, venue, and other services, are going to cost you??? So what IS your budget then? Most Bride’s are planning for the FIRST TIME. Here in lie’s the first hurdle that can bring down both wedding plans and add unnecessary stress along the way….. Ask yourself this; Did you just Guesstimates your totals, or have a vague recollection of what you ASSUME these vendor services should cost? Make sure your budget is realistic! 2) They don’t add in the recommended 20% ‘cushion’ – Think in terms of a home reno – things ALWAYS Pop up! 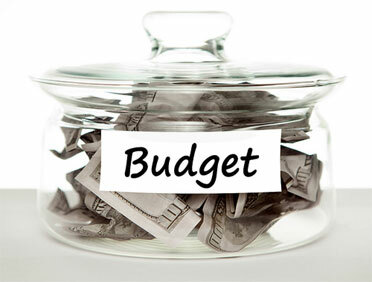 3) Most people do not set realistic budgets pertaining to their vendors and the services they are looking to book. Another thing that often ends up neglected is the ‘final’ total of the wedding day itself, from final taxes to your wedding vendor’s gratuities pertaining to services…we touch on this later though in another post about vendor gratuities. Also other “missed” areas within a budget plan, just a few small examples of commonly missed areas: Alternation costs, Gifts, Favors/Supplies/Goody bags, Babysitting costs, Valet/Parking fees, and let’s not forget the MANY different “bridal parties” BEFORE the actual wedding day – stagette, bridal shower, rehearsal dinners, etc. One of the best things I ever heard came from one of my brides this year, Sara, and thus the entire basis of this post as it is still to date one of the smartest pre-wedding plans I’ve come across!! Her Mother in law had made plans BEFORE ANY PLANNING was to start, for her son, his future wife (Sara) and her to visit a few of main Vancouver Bridal Shows. This gave them the ability to not only scope out future ideas for their wedding-to-be but most importantly, MEET some of their potential vendors face to face! They grabbed business cards and price quotes from many of the vendors they liked, found out packaging options and more that agreed with both their tastes but also their potential wedding size as well. This gave them a whole slew of information, pricing and other options that they could sit and go through once home, to help start them off on the right path. Not only that, but they had another advantage now, saving more money!! Many vendors at these shows offer “specials” or “discounts” for those that attend these bridal shows…That you will not find available through their online sites. Booking your vendors early can not only save you tons of money, but also the disappointments of your top choices being already booked – Remember just about all wedding services and Bridal related vendors (including Makeup | Hair and Salon services) can book about 1 year out! So once they returned home, Sara and her fiance sat down and separated everything in sections: Catering, Vancouver Venues, Photographers, DJ Services, Limo companies and more. Next step is PRIORITIZING your vendors and/or areas of more importance to you. With the information and pricing now available BEFOREHAND, They were able to go through each section and price out an average cost PER Service provider for their wedding. In the long run and after the wedding – they were even UNDER BUDGET at the end!! Some brides have areas that might be more important to them or as a couple. Be that a Venue/Location, or a Photographer for example. Maybe it’s beauty services – These are the top 3 vendors that book the fastest, and with good reason. You are the centerpiece in every image, throughout the day. Your most photographed day of your life; After it’s all said in done, the only thing you will have left of the day is the photos you get back of those memorable moments…. These three vendor areas are key to not only your photos, but the overall vibe and feeling of the entire experience. Example: Some brides have no problem spending $500+ on a pair of shoes, that in reality, are under a dress, that no one will see. Then in the same breath, express how their ‘looks’ are super important to them – BUT then attempt their own Hair and Makeup, that may not be appropriate with today’s higher end media demands; it just doesn’t pan out, and the photos show it. While others may be more concerned with a napkin color or sash on a chair, that guests are likely to not even remember…. So again, look at prioritizing your ideas, THEN set your budgets alongside that. If Photography, Venue, Beauty and how you look, or your Decor are most important, SPEND The budget in those areas!! There will always be further options for DIY areas along the way, or portions that can allow for additional help from others. But don’t dismiss your ‘A choice’ factors when planning. In prioritizing and figuring out your vendor cost first, this can not only keep your budget on target, but considerably lower the risk of burning out with DIY Projects and other stress. After all, the average engagement and wedding planning time frame is about 12-14 months….so what’s a few cents a day set aside, to get the vendors and services you truly want and find the most important for your big day. So let that be proof, that although you may be excited and ready to just jump in there and start planning, that a little extra time, smart planning, prioritizing and organization can save you so much time, money and stress later on when the ball gets rolling. ****Have a subject you’d like us to cover, or wedding planning questions you’d like answered? Drop us a line anytime, and we’ll do our best to feature your Question or Subject in one of our up and coming posts!! How the Date and Times you choose can affect your wedding day costs! Today I wanted to touch on the subject of your Wedding date. What is already, for most, an expensive event, can become even more costly depending on the time of year you choose, to the time of day you set your ceremony, but also the day of the week you choose! These seemingly minor details, can in fact, hugely effect the outcome of your planning details, from the prices of your venue rental, to which vendors might be available, and more. 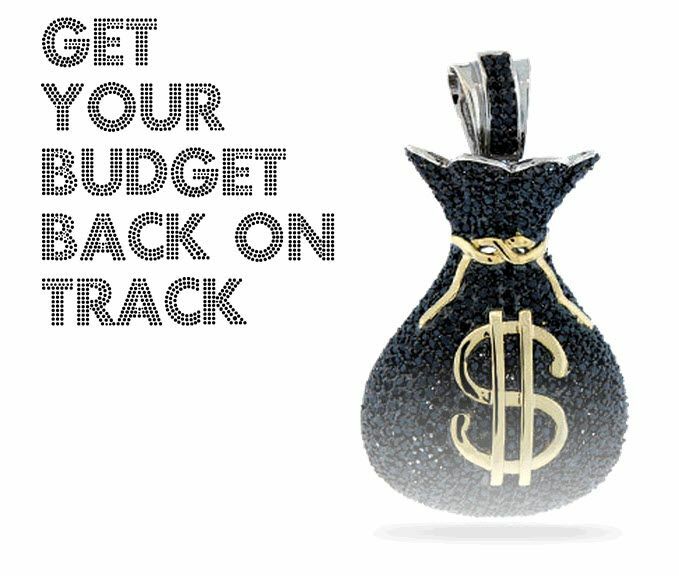 As we’ve touched on this subject in a few other posts related to our Budgeting and Timeline sections, many Wedding vendors book about 1 year in advance for dates. With Venues, Photographers and Mobile Makeup/Hair often booking the first and fastest due to high demand. Today I’m going to break these details down even further for you…So lets get to it shall we? Time of Year – What month is best? As we’ve mentioned in a few posts now, there is no such thing as an “off season” anymore! The busiest portion of the year for all Bridal related vendors is April through October! June and September are often very popular, and can cost you more due to the demand for dates available! Remember many bride’s seeking these 2 months are hoping for sunny, yet “Not too hot” weather options. June is also GRAD MONTH For most areas (and often starting in May too! ), thus service providers like Mobile Makeup/Hair and all Salon locations often see triple the volume of clients, so finding those available is often far more limited. As are venue options and banquet halls due to the grad dinners taking place! July and August are the BUSIEST Months of the Entire year. They are the first to book/close for just about EVERY Wedding vendor you seek to book, often at minimum 1 year out!! I can’t tell you how many client’s we sadly have to turn away each season that are seeking Makeup/Hair services, due to us already being booked with other brides, typically from 3-6 months prior. Many of these clients are just starting to contact people in May for an August wedding, then left scrambling, frantic and stressed, once they find out no one is available… Most of us are already closed for the year by around March! Those of us specializing or with higher client traffic, reputable workmanship or awards won, etc. book up very fast, so if you have your heart set on a particular artist, best to book them early! Months that are often less busy are the months of January, March and November. Vendors than would normally require a minimum booking requirement, may be more lenient to smaller orders and/or booking needs from brides with smaller parties or set-up needs. However, many PHOTOGRAPHERS specifically, start running their Holiday specials during the fall months, for family sessions, boudoir and more, so dates for them can often be limiting in months like October, November and December. Months such as February and December can often be far more costly due to Valentine’s day, Christmas and other holidays within. With that, costs often go up on everything from Cakes, to Floral and more. Also something to remember, you are now basically competing with other couples and COMPANIES, For venue rentals due to holiday staff parties taking place! The weekend before tax time can often leave you with lowered guest attendance. Many may not have the funds to attend, or may need the extra time to work on their taxes. Back to school time; Again, those with children heading back to school might be more limited on available time and money. Around the holidays; Weddings right before Christmas can also have an effect, as many friends might be heading out to visit with family at this time of year. Mondays through Thursdays can often be far cheaper in cost! Not just venue rentals either. We’ve seen a HUGE Rise in “weekday” weddings, especially during the Spring/Summer months. Many people have holiday time, so taking off a day from work for most people is a totally do-able option. The past few years we’ve seen a ton of Monday, Tuesday and Wednesday weddings! Thursdays are gaining in popularity too, as many tend to have evening, cocktail style, or boat cruise weddings. Weddings taking place in the evening or after work – Guest will often take the Friday off and get to enjoy a long weekend too! Not to mention, for those with out of town guests attending, Hotel and Flights are often also far cheaper during the week! Yes, I know, most bride’s envision that prefect sunny Saturday afternoon wedding. But for those looking to save some money, the drop in pricing can, for some places, be extensive, were taking like $1500 to $600 type of drop. Holidays and/or long weekends can be DOUBLE the original pricing. Much like working your regular job on a holiday. Many vendors due charge a holiday fee! Weekends: Saturdays can typically cost more than a Sunday wedding date as they are considered a main day, some venues boast upwards of a $3-5,000 difference just between your choice of these two days! We saw a number of couples this year opting for earlier morning ceremony times like 9am, followed by elegant brunch or lunch style set ups with omelet stations, fresh fruit platters, chocolate fountains, pastries and more. Ceremony times 11am to 3pm are the most in demand time frames, thus limiting vendor options since majority of client’s aim within this time frame. Look into choosing and booking a multipurpose venue. If you are able to plan out both your ceremony and reception at the same location, you stand to save additional costs on everything from site fees, transportation costs, double set up/take down fees and more. Many vendors and companies do raise rates at year end in preparation for next year’s seasons, inflation/business costs and so forth. Those clients that do their research and connect with their top ideal vendors they wish to have for their wedding day, can often score pricing/packages before they go up and all switch over for the new year – Saving them even more, but still getting exactly what they originally sought out without having to compromise quality, needs or budget! Engagement season! – November through February – It’s the holidays, and engagements over Thanksgiving, Christmas, New Years, Valentines day …..well, they take over. Not to mention bridal clients are often off work/school for the holidays and can get some planning done! This is often when Bridal vendors see close to 60% or more of their bookings set in for the following season! Many of us receive hundreds of emails from newly engaged client’s looking to secure their dates and/or get this years current pricing options. Thus sadly those who wait out to long, by then, often most of the year is now fully booked! I hope this post helps you out a bit more in finding and choosing your perfect fit for your chosen wedding day. There is often a huge misconception, that brides who want a natural looking makeup for their wedding day should have it cost far less than say a bride who would like a more dramatic wedding day makeup look. This is something, many of us Bridal Beauty vendors seem to hear a lot of, or see posted in the bridal forums, from brides who aren’t aware of what’s involved in a basic natural bridal makeup look. Many assume because the look isn’t heavily applied, or using “darker” color schemes that it must be easy to achieve and that “less” makeup is used. A “natural looking” makeup application, is a skill set all in itself, that unfortunately many artists may not possess. There are artists out there that spend YEARS Perfecting this particular application technique! It’s often far more time consuming to achieve, AND uses the same amount of product, if not more in some cases! The products used are often the same, and overall they still cost the same to purchase and use. The more natural looking an application is, the more attention is need to the finer details. It’s more so now about perfecting the look of the skin as a main focal point, with extra attention paid to sculpting the features of the face with contour and highlight so it doesn’t fall flat for pictures. Then into any adjustments to further camouflage areas you don’t want to see, dark circles, blemishes, etc. and ensuring the right tones are used. Extra attention will also be turned to the brows, to help sculpt them in to frame the face, filling in any sparse areas for a balanced yet natural looking brow. The softer looking a makeup style is, the more focal point areas there is for someone to view, over say someone who might opt for a bolder smoky eye style to draw direct attention right the eye area as a main focus and/or away from any problematic or areas of concern. You can often lose about a 1/3 of what you see looking in the mirror when it’s then translated in your photos. Those bride’s with set-ups that are outdoors under the glare of the sun can fade out even more in some cases! It’s about knowing where and how to place the makeup on the face to give a beautiful natural look. Yes, of course you want to look naturally beautiful in person but let’s not forget the thousands of dollars you’re spending on photography for your wedding day too. At the end of it all, this is the only thing you get back and what becomes your last memory of the big day. You want to make sure you’re looking your very best! Often that soft look you see in photos, is far darker and more involved when face to face, Your hired artist, will blend both areas to accommodate what not only fits your needs and ideals, but what will photograph beautifully too. It’s not simply about putting less makeup on your face; Naturally with the same amount of time spent during application, products being used, etc. this is why you won’t find huge price differences, as often its far more intensive. So remember at your bridal makeup trial when you ask your makeup artist for a “natural look”, be clear on your direction with reference images and know just what’s involved to get you looking naturally fresh and beautiful with that “no makeup” style look! …or follow along with us on Pinterest as we showcase all sorts of fabulous bridal details from Hair and Makeup images, to Decor/Details, Floral, Cakes and more! Choosing your Wedding party members. Choosing your wedding party members can often be a bit daunting for some people and follow with a few a hard decisions on just “who” should be present alongside you on your big day. For some, it’s way too easy and they invite everyone they can think of! Often Brides are quick to share their wonderful news and end up making quick decisions on their bridal party members way to early in the process and end up regretting it later or causing themselves unnecessary stress as the planning moves forward. WAIT. There is nothing stating that you need to decide on everyone and everything right away. It is usually best to wait until after you have set a date and booked your main ceremony ideals, once you have a rough idea on your guest count. Choose the people that are the closest to you and who you know are going to be happy to help you along the way when you need it. It can also look a bit silly if you might plan to have a smaller wedding of only 50 people (for example) but then opt to have a Wedding party of 12+ members! I was once told by a wedding planner that one of the best ‘rules’ to follow regarding this is the wedding ‘pre-set’ rule; For every 50 guests, one Bridal party member. This keeps visual balance to the wedding, photos etc. but also helps minimize excessive or unnecessary costs/spending. COSTS. There are main factors that need to be considered, cost is typically the first to come to mind. Being a Wedding party member is often a big responsibility, so consider the circumstances of those you ask to join you, be that both personal and also financial. It can often be a $250-$500 commitment to be in a wedding party which the purchasing/rental of attire, Make-up/Hair services for the ladies, hosting bachelor/bachelorette parties and so on. With this cost also comes YOUR Expectations of the members you choose. Make sure your party members are ALL aware of your expectations. In fairness to them, these things need to be decided on FIRST, By you, before they say yes to the offer…whether you expect them to buy their own clothing, give a speech, throw you a party or help with other details of the wedding proceedings. Remember, Although your wedding day is likely the most important thing happening in your life right now, it may not be the most important thing to them, or the most affordable, at the present time…be courteous of that and keep perspective. They may REALLY WANT To be a member in your party, but just may not be able to afford the means or have the time necessary for the responsibilities. FAMILY MEMBERS. Often you will find invites can be given out to “select” family members. Be cautious with this area, especially if you are very close with them. As sometimes you may feel the need to include other family members that might not necessarily fit within your wedding plans, solely out of ‘fairness’ to the others you’ve now invited, or in other cases you might end up causing strain in relationship if one is not included and they become jealous of another persons inclusion over them. If you find yourself in this situation, It can sometimes be best to give them all ‘other’ responsibilities pertaining to the wedding and its arrangements that way everyone feels included, without any unnecessarily drama that can sometimes occur. At the end of it all, Your wedding party is there with you on your day to offer support and love to you and your new partner. If you take your time in choosing the right members and communicate with them you are sure to create a stress free journey as you plan your wedding and head towards the big day. Good luck! Here we would like to touch on the next big step in your wedding day planning, booking your Venue. This is one of your first recommended and most important bookings when planning your wedding to be. We have put together some of the main and more important money saving points when first starting off with your planning when it comes down to booking your Vancouver Wedding Venues. Firstly, you may have your heart set on the perfect date, BUT once you’ve found your perfect VENUE this will determine everything; including your date chosen and its possible availability or not. This includes both the date itself and the month in which your chosen venue has open availability to accommodate your booking. * Most Vancouver wedding venues book upwards of 1 year in advance, with the main season, May through September/Oct. booking the fastest. * Saturdays typically cost more than a Sunday wedding date as they are considered a main day, some venues boast upwards of a $5,000 difference just between your choice of day! * Holidays and/or long weekends can be DOUBLE the original pricing! This can also be true of your other vendors, example: Your Bridal flowers for a Valentine’s Day wedding. * Many venues offer further savings for you when booked in the off season, typically November through January. You may also find additional savings for ‘weekday’ bookings…Fridays have seen a huge spike in bookings, with many people holding more cocktail style receptions and/or harbor boat cruises. * Look into choosing and booking a multipurpose venue. If you are able to plan out both your ceremony and reception at the same location, you stand to save additional costs on everything from site fees, transportation costs, double set up/take down fees and more. Lastly, do your homework, not all venues boast the same features (Even if you are promised them) I have seen and also attended weddings at even the most swankiest of places where everything falls apart, to some of the simplest backyard garden-style weddings becoming the most glamorous. For a detailed listing of some of the most popular Vancouver Wedding venues, check out one of my all time favorite Bridal forums, BRIDE THINGS located in the “Links” side bar. They house one of the biggest online venue listings for the lower mainland!! This question was sent in by Kristin, with her wedding coming up, she asked the question; which service providers am I supposed to tip? Tipping is always greatly appreciated by your vendors, but of course not expected. Tipping is usually an additional and courteous gesture given when a client is happy with the services that have been provided to them and thus the gratuity given to the vendor to show their appreciation. This can be a touchy subject for some, but a very valid question so here is a general guideline pertaining too many of your main vendors. Though of course please note that these are just general listings and do vary between the individuals, services and differs amongst different provinces, cities and towns. Also be sure to READ your contracts, as the gratuities in some cases, may already be included. *** Vendors are very appreciative and love “thank you cards” as well… This is a great reminder to us that our clients are happy. It is also appreciated that for those with a “testimonial” or a “service review” option, that you leave a bit of feedback regarding their services provided. It doesn’t hurt to ask us and we are always happy to have a client submit us a review of services! Limousine Drivers 15-20% of the limousine bill, typically given at the end of the evening. Ceremony assistants (Altar boys, Organist, etc. ): $5 to $25 each. You can ask a clergy member whether tips are covered by the church fee. An Estimated 15 to 25% of the total Food/Beverage cost. Independently Bar-tended events (Separate bookings from food): Typically 15% of the total liquor sales. *These amounts will later be split among the wait and kitchen staff at the end of the evening! The Head chef: $1 to $2 per guest. DJ/ Musicians – $50 to $100. When your guests boast about your reception later, it’s the DJ and/or musicians that had everything to do with all that fun and who keep that reception party going! Florist – Many don’t tip the florist, but it is nice to usually tip them an extra $5.00 to $10.00 per delivery location or in case of larger bookings around $15 to $20.00 per staff member involved, usually in a lump sum total for overall set-up and delivery of the items. Coordinators/Managers – Typically a $50 tip is adequate. The Wedding Planner: This is the person who put it all together for you, start to finish. Typically for them a 10-15% tip on their Final bill total. Hair and makeup artists – 10 to 20% of their service fees is fairly standard. * If you go to the salon to receive services, as many would do for that of cut/color services, etc. average is around a 10% tip on services. * If you have hired a MOBILE Service provider in which they come directly to your location at a hotel or your home, typically this is a 15%-20% tip range, as these providers are now paying out for additional travel fees such as gas costs and extended parking fees for the duration needed to provide services. Photographer and Videographer – Many find this optional as well. Typically a $50-100 ‘Thank you” tip is generous. Many gear this tip depending on the sizing of your packages purchased. Remember: Your photographers are with you both for the entire day of the wedding and often start in early morning hours when the bride begins the process of hair & makeup all the way through the end of the day when the reception usually wraps up, sometimes not until 11 or 12 at night! They often spend upwards of 10, 12, sometimes 14 hours with their bridal clients on their wedding day which is longer than any other vendor, except perhaps the Wedding coordinator directly. A lot of effort is put forth into building relationships outside of the wedding day, including pre-wedding day consultations, engagement sessions and ongoing communication with image selections afterward, the album designs and so forth. While not necessary, a tip or a gift for service well done is ALWAYS welcomed from your hard working photographers! Remember this is just a general guideline but will hopefully provide you with a starting point regarding your vendors and any tipping options you may wish to account for within your budgeting.